Within our large array of products available, we are one of the leading businesses that customers can buy rollators from, where we have an extensive range of variants and options to choose from. One of the exclusive products we currently have on offer is the Zoom 4 wheel rollator, formed from a stylish lightweight frame to promote easy manoeuvrability and usage. With a compact storage space and quick release wheels, it enables for a simple fold down, promoting easy transportation and accommodation. We understand that not everyone has the time or accessibility to collect their products from us, which is why we provide a delivery service nationwide for all of our goods. We aim to get your items to you within 2-5 working days, where we will produce updates on the dispatch and estimated delivery date. 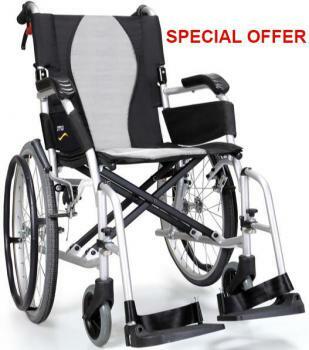 For specialist goods such as wheelchairs and scooters, it may require 2-10 days, at which point we will also provide our assembly service so that we can assist with the setting up of the product. Here at ISB Mobility, we have an outstanding reputation for our customer support and loyalty. This is something we are very proud of, and hold great pride upholding with every customer we work with. We also take our customer’s satisfaction very seriously - which is why we always ensure our clients are completely happy when they buy rollators from our store. Our staff can also offer expert advice on any products you may require and are there to advise you on the best possible product to suit your needs. In order to find out further information about how to buy rollators from our website, be sure to get in contact with us today. We are more than happy to answer any questions that you may have, just call on 01 616 7079, where one of our customer service team will be available to help. Alternatively, you can also direct message us via our contact page, simply include the required details so that we can get in touch at the earliest convenience.